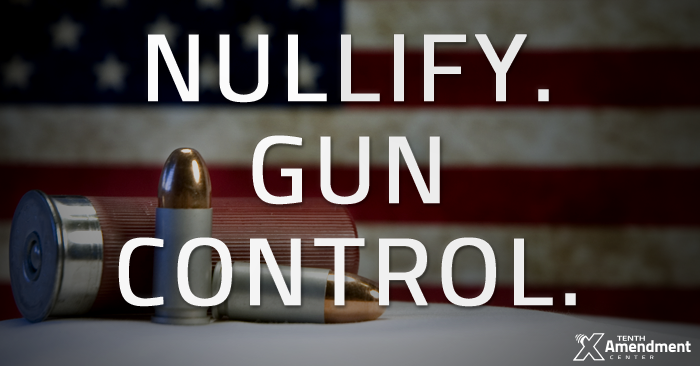 See www.tenthamendmentcenter.com for up to date news on the very latest on Nullification of lawless and out of control federal laws. Here at the TAC, we've been preaching the same message for nearly a decade - "refuse to comply - nullify!" This was James Madison's advice in Federalist#46, and recently, the mainstream is starting to catch on. 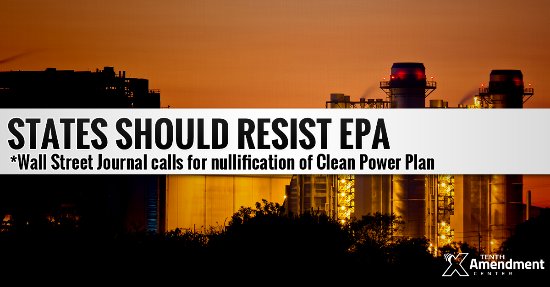 Last month, a Rasmussen poll found that over half the country supported taking these measures, and this week, the editorial board of the Wall Street Journal called on states to "help the resistance by refusing to participate" in new regulations from the EPA. Mike Maharrey wrote up a full report on this, and I think it's worth your time to not only read - but share this information everywhere you can. 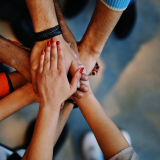 We're building momentum and success - with your support. The TAC is not backed by any corporate interests, we refuse government grants, and remain non-profit - because we don't believe in partnering with the IRS, an entity we're trying to defeat. CLICK HERE - PITCH IN AND HELP US OUT! Copyright © 2015 Tenth Amendment Center, All rights reserved. This week, Minnesota became the 16th state to pass a "Right to Try Act" into law. The Federal Food, Drug, and Cosmetic Act prohibits general access to experimental drugs. However, under the expanded access provision of the Federal Food, Drug, and Cosmetic Act, 21 U.S.C. 360bbb, patients with serious or immediately life-threatening diseases may access experimental drugs after receiving express FDA approval. Minnesota SF100 bypasses the FDA expanded access program and allows patients to obtain experimental drugs from manufacturers without obtaining FDA approval. This procedure directly conflicts with the federal expanded access program and effectively nullifies it in practice. As little as $2 a month makes a big difference! There is strength in numbers as we take on the entire establishment, from left to right. Last week, we reported that Tennessee SB1110 was signed into law, setting the foundation as the first step to reject and stop all federal gun control in the state. This week, a Texas House committee passed a similar bill, HB422, making it eligible for a House vote before next week's deadline. Another Texas committee passed a bill that bans the bulk sharing of concealed carry holder lists with the feds. In Indiana, the Governor signed a bill removing the state prohibition on sawed-off shotguns - and important step forward for the right to keep and bear arms in that state. 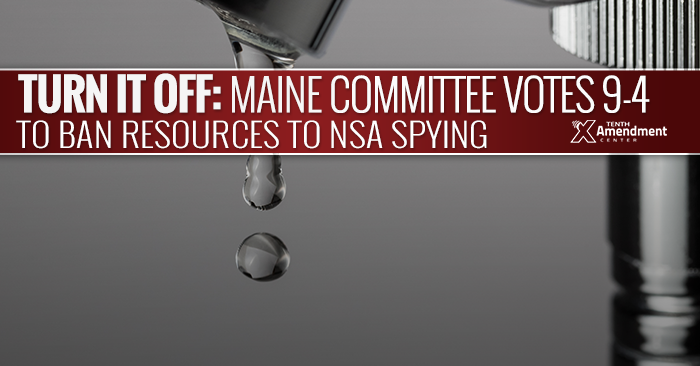 AUGUSTA, Maine (May 7, 2015) – A Maine bill that would turn off support and resources to the NSA in the Pine Tree State passed out of committee by a surprisingly comfortable margin yesterday, despite intense opposition form the state attorney general. JEFFERSON CITY, Mo. 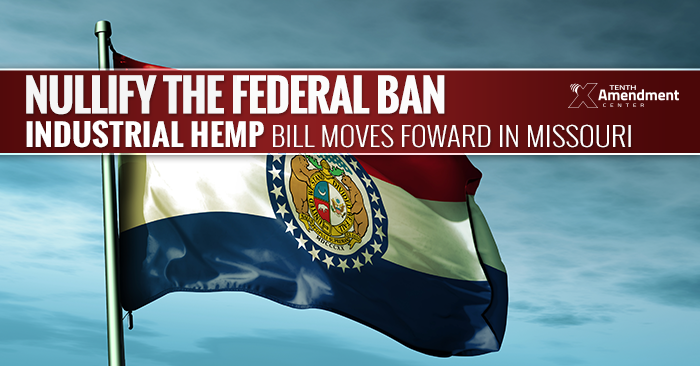 (May 5, 2015) – An important Missouri Senate committee approved a bill to authorize the farming, production, and sale of industrial hemp in the state, effectively nullifying the federal prohibition on the same. Previously approved by the House, it now moves to the full Senate for consideration. AUSTIN, Tex. 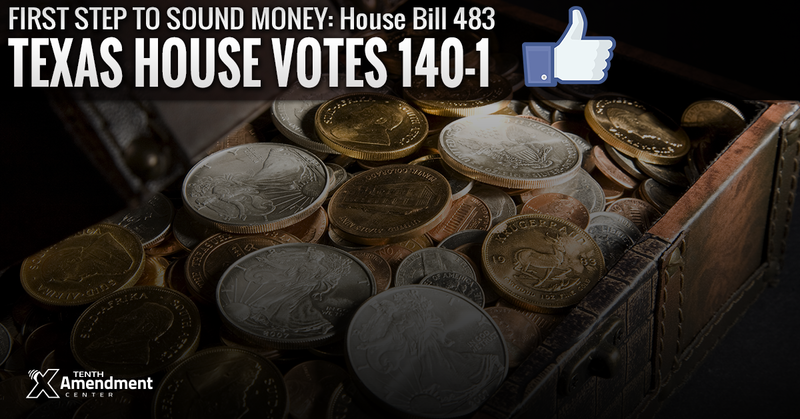 (May 7, 2015) – A bill taking a step towards gold and silver as commonly-used legal tender in Texas passed in the state House today by an overwhelming 140-1 vote. Introduced by State Rep. Giovanni Capriglione (R- Southlake) and four co-sponsors onFeb. 12, House Bill 483 (HB483) would create a state bullion depository.